Toiles, Muslins, & Mockups, Oh My! If you’ve never sewn with black fabric, you’re in for something of an ordeal. There are several problems that occur when working with black fabric. Let’s see what they are—and more importantly, how to deal with them! Why should black fabric be any different than gray, or white, or purple? Black absorbs light. Any very dark fabric will be similar, but black is the worst. The scientific principle is demonstrated by the experiment children perform in grade school, where you stand outside with a white washcloth or handkerchief on one hand, and black one on the other. It soon becomes obvious that white cloth reflects light and heat, bouncing it away, whereas the black cloth absorbs the light and heat. Owners of black cars will know exactly what I’m talking about! Heat isn’t much of an issue while you’re sewing, but light is. Because black fabric absorbs light, it appears much darker. This makes it difficult to see what you’re doing, whether you’re pinning, hand sewing, or ripping out your stitches. What can you do to help? More light! Natural sunlight is best, but if you need artificial light, use daylight LED light bulbs. They’re expensive, but they’ll last forever, and they’re about as close as you can get to natural light. Try setting a task light beside your sewing machine, as well as one near your ironing board, cutting table, and workstation. Aim the light directly on the fabric while you’re working, so you can see what you’re doing. Trying to sew with black thread makes things needlessly hard. 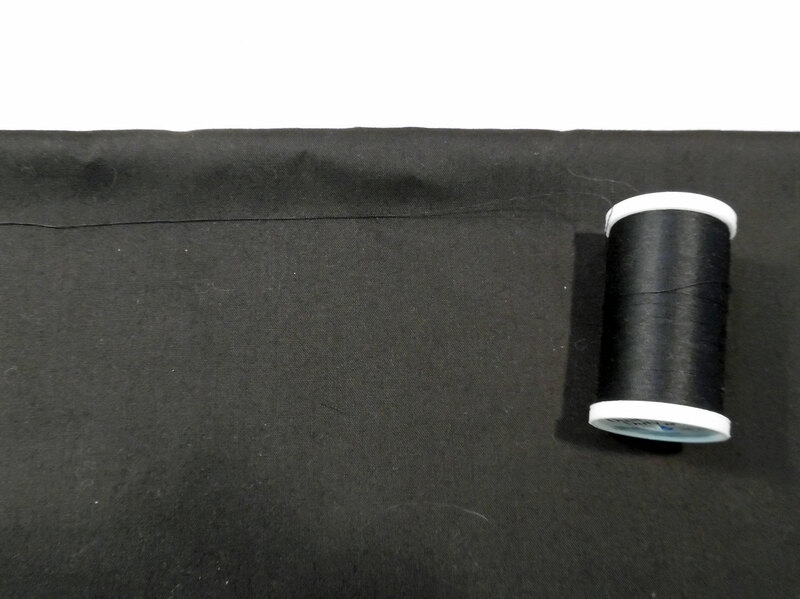 Black thread on black fabric will disappear, making it difficult for you to rip out your stitches, or whatever else you need to do. Instead, use dark gray thread. It will be virtually invisible when the garment is finished, but it will be much easier to see while you’re working. Another issue when working with dark fabrics is lint. Some fabrics attract lint and pet hair more than others. Black fabric, especially cotton, seems to draw every stray piece of fuzz in the house! Instead of constantly picking these frustrating bits off by hand, invest in a sticky lint roller. 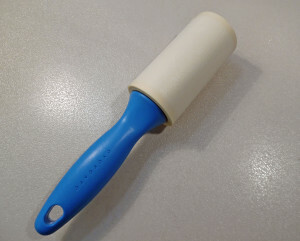 Whenever the fabric gets too dirty, swipe it with the roller to get the worst of the lint and pet hair off. A few years ago, I sewed a tailcoat and trousers for a male fashion doll. It was, of course, black sateen, with black satin accents. It was my first time working exclusively with black fabrics, so I had no idea what an exercise in frustration it would be! I swore I’d never do it again, but time passed and I found myself needing another black outfit for a doll. I thought I’d imagined the frustrations of working with black, so I didn’t take the precautions I should have. Big mistake! Next time, I’ll add an extra light near my sewing machine, and I’ll use gray thread, instead of black. Pre-wash dark fabrics to prevent bleeding or staining. Add extra lighting to your work area. Use dark gray thread, instead of black. Keep a lint roller handy, to remove stray fuzz and pet hair. Looking for more sewing advice? 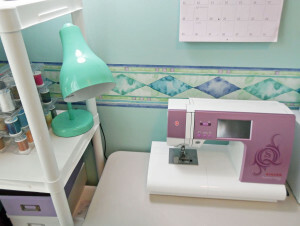 Try Sewing Basics, where you can find a number of beginner-friendly articles. Also, check out our advanced Tutorials and Sewing Diaries. I am a sewing instructor living near Memphis, Tennessee. This entry was posted in Tuesday's Tips & Tricks and tagged Fabric, Tips, Tuesday. Bookmark the permalink. Unless otherwise stated, all images belong to Yesterday's Thimble, © 2010—all rights reserved.